If you’re looking for a luxury car, you’re likely looking to check off a few important requirements. These may include a quiet cabin featuring soft-to-the-touch materials, the latest in entertainment technology, and a sophisticated interior and exterior design. Thankfully, the 2019 Buick Cascada offers all of these premium features. However, it brings a few surprises to the luxury car class as well. For safety, the 2019 Buick Cascada earned a 5-star overall safety rating from the NHTSA with the help of its many standard features including Rear Park Assist, a Rearview Backup Camera, a Tire Pressure Monitoring System, and Buick’s Stabilitrak technology. For drivers looking for an even safer ride, the 2019 Buick Cascada offers plenty of available safety features including Lane Departure Warning, Forward Collision Alert, Rainsense Wipers, and Automatic Headlamp Control. One of the best features of the 2019 Buick Cascada is how affordable it is despite its abundance of premium technologies and materials offered standard on its base trim. For a class low MSRP of $33,070, drivers can invest in the base model of the Cascada and still receive leather seating, heated front seats, a heated steering wheel, the 7-inch touchscreen display for the Buick Infotainment system, 4G LTE WiFi, 10-way power adjustable driver and passenger seats, a Driver Information Center, and more! Upgrading to the highest trim level will offer drivers the ultimate experience in luxury design with the available Magic Black interior, Sanguine Red Seat Stitching, the Dark Effects Package, and 20" Dynamic Twin-Spoke Aluminum Wheels with Blacked-Out Pockets. Overall if you’re looking to experience everything a luxury vehicle has to offer plus incredible safety features, all at an affordable price, the 2019 Buick Cascada might be the perfect vehicle for you! The 2019 Buick Cascada comes with a 1.6L 4-cylinder engine paired with a 6-speed automatic transmission, making it the perfect vehicle for luxurious strolls around town and long drives to weekend getaways. The Cascada features a front-wheel powertrain, helping it achieve its fair fuel efficiency at 21 mpg in the city and 29 mpg on the highway. Even with this fuel efficiency, the 2019 Buick Cascada is able to produce an impressive 200 horsepower. Drivers and critics note that although the Buick Cascada is one of the larger luxury vehicles on the road, it maintains responsive and smooth handling. A favorite feature of the 2019 Buick Cascada among drivers is its Stabilitrak technology. This advanced feature is an electronic stability system which aids drivers in less than ideal driving conditions by automatically adjusting the engine and brake torque to keep the vehicle on its intended path. Mechanically, the 2019 Buick Cascada performs well among others in its class while offering some of the latest technology available on the market. However, as a luxury vehicle, the 2019 Buick Cascada is better suited to the driver prioritizing premium entertainment features and a high-quality plush interior rather than the ultimate in power and performance. Overall, it’s easy to see that the 2019 Buick Cascada offers everything you need for the latest in entertainment and convenience technology. And not only does this luxury car come with premium features, but it is incredibly affordable compared to other vehicles in its class and even provides many of these advanced features as standard on the base model trim, the 1SV. When it comes to safety, Buick believes that all drivers should be able to experience advanced safety features. For this reason, nearly every top-of-the-line safety feature onboard the 2019 Buick Cascada is available on every trim level. This means drivers looking to stick to a strict budget can feel confident that their luxury car will be incredibly safe, even with the base model. With the 2019 Buick Cascada, drivers can feel confident that this luxury vehicle will offer incredible protection on the road. The 2019 Buick Cascada comes available in three different trim levels, each with more and more luxury features. For drivers looking for the ultimate in luxury, the top trim level is the Sport Touring option. And upgrading to this trim level might not be too far off from your budget either. 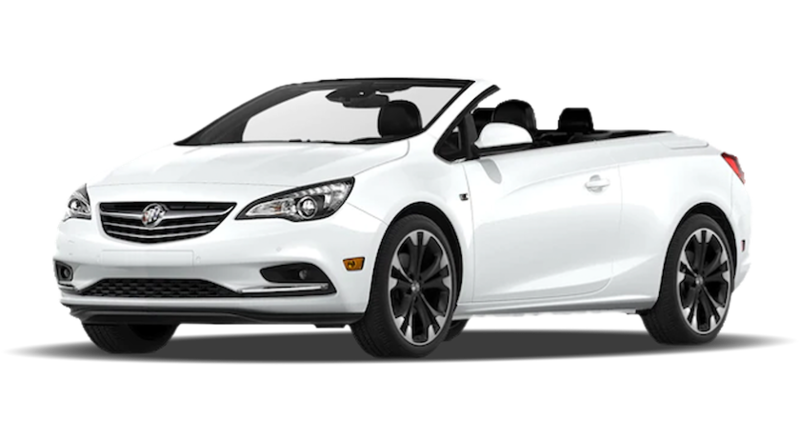 The 2019 Buick Cascada is an incredibly affordable luxury car. In fact, compared to nearly all other vehicles in its class, it is one of the most affordable. The same remains true even for drivers opting for the more premium luxury features on the top trim level, as this option is less expensive than many of its competitors’ base models. Across all trim levels, the 2019 Buick Cascada offers drivers a premium luxury experience with each and every drive. Even drivers who invest in the base model trim can experience many of the most premium features available on the market, without spending a dime more! Meanwhile, Buick makes it easy to further upgrade this vehicle with plenty of exciting available packages. Choose Carl Black Roswell for Your Next Vehicle! 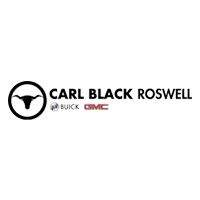 At Carl Black Roswell, we are proud to be your local Buick dealer. We are passionate about the vehicles on our lot and are eager to help you find the ideal vehicle to suit your needs, lifestyle, and budget. Whether you’re looking for a brand new luxury vehicle like the 2019 Buick Cascada or even a used or certified pre-owned Buick sedan or SUV, our extensive inventory is sure to have what you need. Once we’ve helped you pick out the car of your dreams, our knowledgeable finance team will be at-the-ready to help you secure the financing you need to drive off the lot in your new vehicle. Our finance team takes pride in their local and national connections and will utilize each of their resources to set you up with terms that match your budget requirements. Not sure exactly what you can afford? No worries! We’ll even walk you through your monthly vehicle expenses, value your trade-in, and help you determine an appropriate down-payment. At Carl Black Roswell, our service to our customers doesn’t end when you drive off the lot! We encourage drivers to return for premium automotive maintenance and repairs from our reputable service department. Trained in all things Buick, our helpful technicians will guide you through the right maintenance schedule for your vehicle and driving habits. And when it comes time to repair your vehicle, you can feel confident that we’ll use only the highest quality parts. So, when you’re ready to search for your next vehicle, visit Carl Black Roswell! We’ll be happy to guide you through our extensive inventory and determine which of our vehicles is the best fit for you!